Family owned and operated since 1970 serving Berks County. In 1970, Richard Lawley started Lawley’s Disposal servicing the Reading area with the help of his wife Grace and son Jim. Together they overcame the changes in the economy; weathered numerous storms and the ever changing landscape of Berks County. All in hopes of keeping the small business dream alive and well. In 1982 a life changing moment in history of Lawley’s Disposal was when Richard had a stroke and was unable to continue driving the truck, his son Jim took the leap of faith to keep the business alive and dropped out of high school in his senior year to take over the driving duties. He had that “Business must go on to help our customers” mentality which the company was founded on and was well supported by the strength of the entire Lawley family. 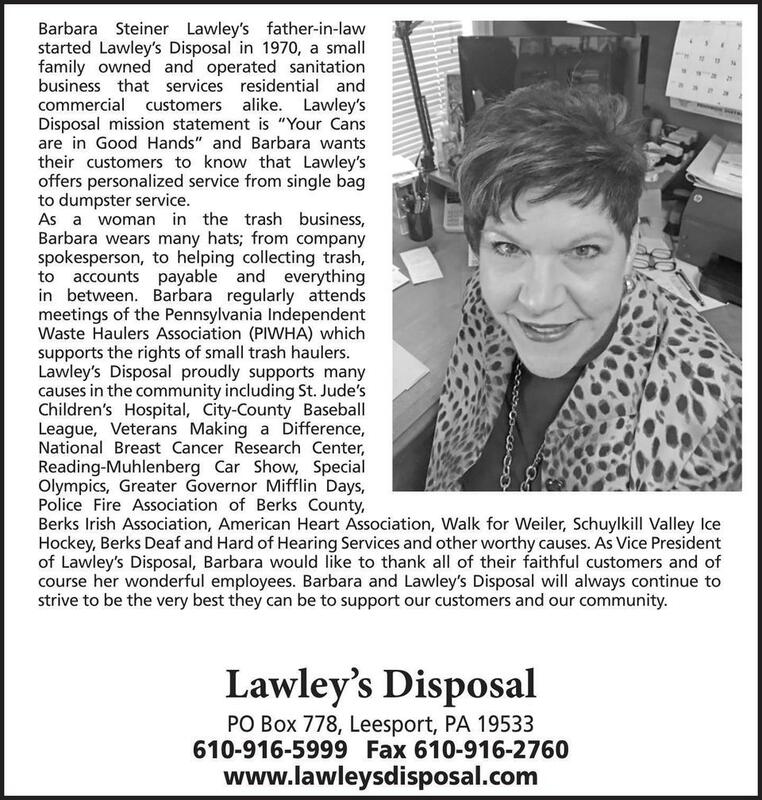 Today, Jim and his wife Barbara operate Lawley's Disposal along with six dedicated employees, who also have the same mind set of always keeping the customer first and keep the company moving forward. Over the years Lawley’s Disposal has expanded into many areas of the sanitation industry offering services to both residential and commercial customers alike.